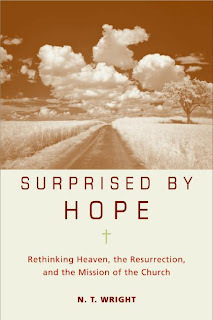 Surprised by Hope is written by theologian N.T. Wright, and is probably the best book I've read this year thus far. It's also one of the best books I've read about the kingdom of God and the resurrection of Jesus, redefining preconceived notions about heaven, earth, and eternity. It's accessible, profound, witty, and extremely engaging. It also causes a great deal of paradigm-shifting, so only read it if you're open to having your worldview rocked. 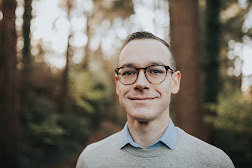 Wright has an incredible wealth of insight into New Testament theology and a high regard for Jesus. It's definitely a book worth reading.